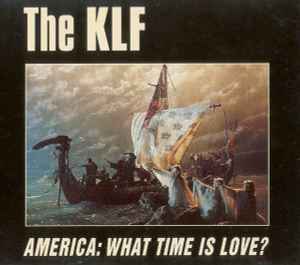 The KLF ‎– America: What Time Is Love? Set sail in their longboats on a voyage to rediscover the lost continent. Just when all seemed lost they discovered...America!" 1991 reworking of the group's 1988 hit "What Time Is Love?" featuring the vocals of former Deep Purple vocalist and bassist, Glenn Hughes. Called "one of the most sought after KLF items" according to The Lost Sounds Of Mu bootleg. Arjan.. can you please get track times for the release.